Jordan Brand’s “Black Cat” story is one of the more untold aspects of MJ’s history, stemming from one of his earliest childhood nicknames. When Tinker Hatfield was designing the Air Jordan 13, he brought the “Black Cat” idea into the limelight, telling Jordan that the way he moved reminded him of a giant predatory cat. Since then, the blacked out colorway has become popular in the brand’s legacy series, dressing up the Air Jordan 3, Air Jordan 6, and Air Jordan 13. Next month, an Air Jordan 32 will join the ranks, and further celebrate Jordan’s winning ways. On the back of its spine, six iridescent circles take center stage with each year that MJ lead to Bulls to an NBA Championship inside. “Black Cat” can be found on the inside of both tongues to further this somewhat forgotten part of Jordan Brand lure. 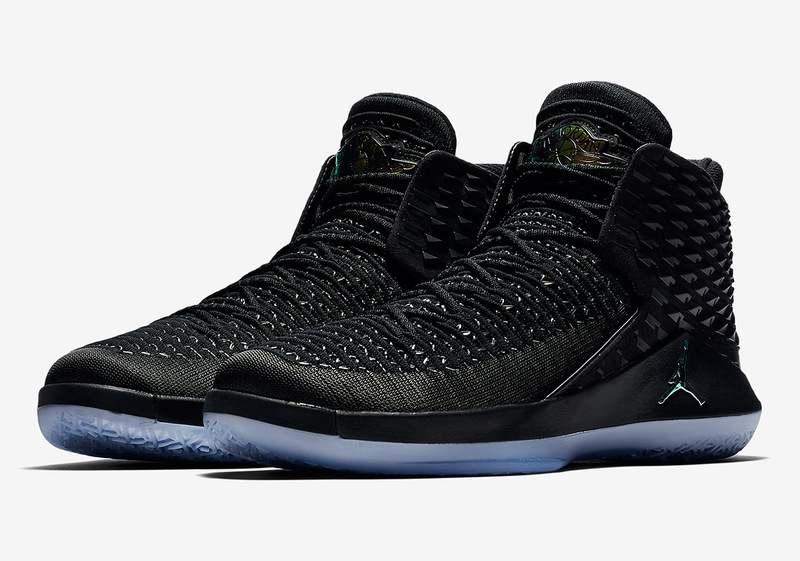 Grab an official look at the next Air Jordan 32 below and expect both men’s and boy’s sizes to arrive at retailers on April 7th.